The Robinette Legal Group, PLLC serves the Shinnston, WV area for personal injury, car accidents, truck collisions, motorcycle wrecks, and wrongful death claims. A traffic accident is always a frightening time. Your mind immediately wonders if there are any injuries in your vehicle or any others involved. The next thought asks if there is any potential danger from other traffic on the road. Emergency services are shortly called, injuries are treated, and vehicles are towed. The activity at the accident scene is over. However, the stress is often just beginning. Sometimes there are significant injuries that require a hospital stay and treatment. Sometimes there is extensive vehicle damage. Even the least severe injury or vehicle damage can cost thousands. That is why Robinette Legal Group is committed to helping people like you. If you have been involved in an accident in or near Shinnston, West Virginia, Robinette Legal Group is ready to help you through each legal step to get your life back on track. 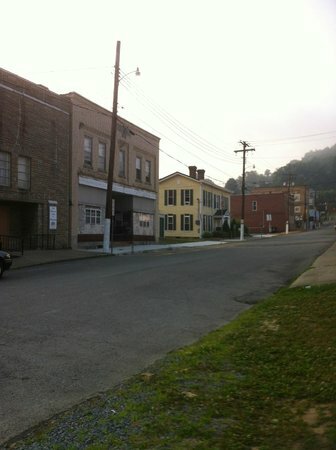 Shinnston, WV is located in Harrison County in north central West Virginia. It has a population of over 2,000. The main road that goes through Shinnston is Route 19. It is near the Clarksburg and Bridgeport area along with Interstate 79. Since Shinnston is a fairly small town, traffic is probably not usually an issue, but during special events, especially the Frontier Days Festival, it sees an increase in traffic. Since it is abnormally busy, some locals may tend to be impatient or inexperienced in driving with that level of traffic and pose hazards. Midrive has a few important tips to remember when driving in increased traffic. Drive defensively. Watch carefully for people who are driving unsafely or for other hazards on the road. Again, some people may be impatient and drive at unsafe speeds or try to weave through traffic. These people pose a hazard to those around them. Be vigilant while driving to try to avoid accidents with this type of driver. Be patient. Don't be the kind of driver described above. Even if it causes you to be late, slow down and wait your turn. It is not worth risking life or injury for you or someone else. Learn to judge timing. While it is always important to err on the safe side, learn to judge if you can make the turn before the oncoming vehicle comes, or if you can merge into the other lane. This helps the flow of traffic to be smoother and faster, making traffic less congested and thereby safer. Leave space. It may be tempting to follow closely when in heavy traffic, especially when it is slow-moving, but leave plenty of space between you and the vehicle in front of you. This will help greatly to prevent rear-end crashes. This space should be increased in inclement weather. Even in stopped traffic, leave plenty of space between you and the stopped vehicle, especially when driving uphill. Vehicles often drift back when starting to move again. Leaving enough space is a simple way to prevent an accident. Clear intersections. When the traffic volume is more than the road is designed to accommodate, traffic stopped at one intersection often backs up into other intersections or crosswalks. Be mindful of this and keep these roadways clear. If you see that proceeding will cause you to be stopped blocking a crosswalk or intersection, stop before you reach this point. This will help traffic to continue moving as much as possible, so the situation does not worsen. Following these steps will help you and others to be safer in heavy traffic situations, and eliminate potentially dangerous traffic jams as quickly as possible. Shinnston offers the annual Frontier Days Festival in late August. The festival began in 1952 as the centennial celebration of the founding of the town. It has continued annually most years and still is an event enjoyed by many. It includes parades, a tractor show, country music, and much more. Ferguson Park is an impressive park in Shinnston. It has a public pool with complete facilities that can also be rented for special events. The park also has playgrounds for families with children and a new performance center. Pavilions are available for rent. Ferguson Park is family-friendly and even hosts family nights once per month during the summer when swimming is one dollar and a movie is shown at the performance center.